Start your Allied Windshield Replacement Today! Allied windshield replacement and auto glass repairs are made fast & easy with Glas Tek. We are an approved Allied windshield replacement shop so you can be confident that you chose the right auto glass repair shop. Plus, most Arizona policyholders carry full glass coverage on their Allied insurance policy therefore you will qualify for up to $150 Fast Cash rebate. All rebates are paid at the time of service therefore you do not have to wait for the claim to be paid. Glas Tek also offers a nationwide lifetime warranty for all Allied windshield replacement and auto glass repair claims. Additionally, Allied insurance backs are guarantee fully! We have a fast auto glass replacement online claim process that makes filing a new claim fast and easy. In most cases, we can come to your home or office same day. Having a damaged windshield is a very serious problem, since it makes driving virtually impossible and very unsafe. Windshields can be damaged in various ways, either through a vehicle accident or simply when a neighbor’s kid throws their ball in the wrong direction. When a cracked windshield occurs, many people rely on Allied insurance to get their vehicle back into order as quickly as possible. To get your windshield repaired quickly, the first thing you will need to do is file an Allied windshield replacement claim directly with Glas Tek. It is best to do this without delay, since the longer you wait to file a claim, the longer it will take to be processed. You will be dealing with a Allied claims representative who will assist you with filing your claim. They can walk you through the Allied claims process and answer any questions you may have. It typically takes about 15 minutes to complete your claim filing on the phone. During this call, the representative will ask you a series of questions regarding your Allied windshield replacement claim. You can speed things along by having all of your relevant insurance documents ready before you call. The first thing the Allied insurance claims representative will ask you for is your name and policy number, so have your policy card or policy certificate ready when you call. They will then ask you what date and time the damage happened. This is to ensure that your vehicle was covered by their policy on the date the damaged occurred. You should describe to them exactly what happened. If there was any damage to any other part of the vehicle besides the windshield, be sure to mention this as well. The Allied insurance claims representative will ask you to verify some personal information, such as your date of birth and the ZIP code on your policy. This is to prevent any insurance fraud, and ensure that no one files a false Allied windshield replacement claim under your name. They will also need you to verify the year, make and model of your car. You will have to provide very succinct details of the accident or incident that caused the damage, so be as precise as possible. The representative will need to know who was driving at the time of the incident, what state the damage occurred in, and exactly what kind of damage your vehicle suffered. If you have any supporting documents that can provide more information, you should provide this to the representative as well. For example, you may have received a police report if an officer was called to the scene of the accident. Once the Allied insurance representative verifies your coverage, they will verify Glas Tek will be doing the repair work. Normally, the repair work will only be approved if it is being completed by an approved vendor that is well known and trusted. Glas Tek is an approved Allied windshield replacement shop so you have a peace of mind knowing you have chosen the right shop. Plus, Glas Tek will pay you up to $150 Fast Cash at the time of service. It’s that fast & easy! Get your auto glass replacement claim started today! 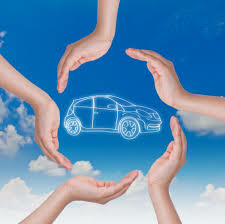 Allied insurance will waive the deductible for windshield chip repairs with comprehensive insurance policies. Therefore, if you carry a $500 deductible on your policy and you do not have the auto glass endorsement on your policy Allied will still cover the cost of the windshield chip repair at no charge to you. However, keep in mind, that a windshield repair will not make the break disappear like you see on commercials. Windshield repairs are only a structural fix and keeps the original factory seal intact. Allied windshield repairs may clear up to 80% of the break but many factors determine the outcome including: time, type, location, and size of the break. A successful windshield repair will keep the break from spreading from the point of impact. If you carry full glass coverage on your policy and you opt for a windshield repair and decide that you are unhappy with that repair Allied will allow for a full windshield replacement. Therefore, there is no risk in trying. Visit our windshield repair FAQ’s and windshield repair process page for additional information on Allied repairs.